To grow crops on his land, you have to spend a lot of effort, patience and time. But all your efforts can be in vain if your garden is infested mole cricket. This insect multiplies with great speed, eating a large number of your vegetables and fruits. Pour the soil near the plants most often eaten by insects. On the ground lay a piece of cardboard, plywood or old linoleum and press firmly. In a day or two lift up the flooring, and you will see the moves of mole crickets. Grind egg shells and mix it with vegetable oil. The obtained mush is put in the hole. Take 1 kg of millet and cook thick porridge. Add the porridge a drug "Decis" and mix everything carefully. The resulting mixture roll into small balls and put them into the burrows of the insect. From washing powder and water make a soapy solution and pour them trench left by the insects. After some time, the mole cricket will leave their shelter. Kopite in the ground a bottle at an angle of 45 degrees. Pour into the container of 100-150 ml of beer. Mole cricket reacts to the smell of beer hits the bottle, and the way back can not. After a few days, throw a bottle with dead insects, and in its place kopite another. Make the plot a few pits and put manure in them. 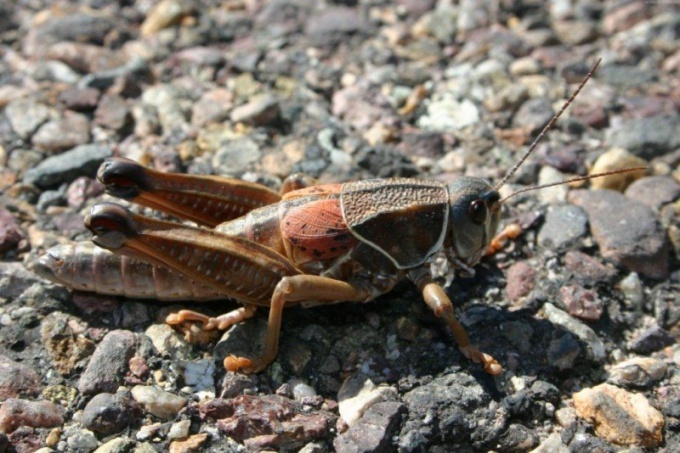 Mole crickets love to live in warm and humid conditions. After a few days put in the holes the poison or dig the manure. If the temperature is below zero, then just scatter the manure on the site. You can do a larger bait. On a plot size of one meter on scatter manure, slightly moisten it with water and cover with a sheet of roofing felt ( roofing material). Wait 5-7 days, when the mole cricket is situated in a prepared trap, then cover the place with soap and water or chemical. To fight the mole cricket can and using strong scents that she can not stand. For example, spread around the perimeter of sand mixed with kerosene or rotten fish. 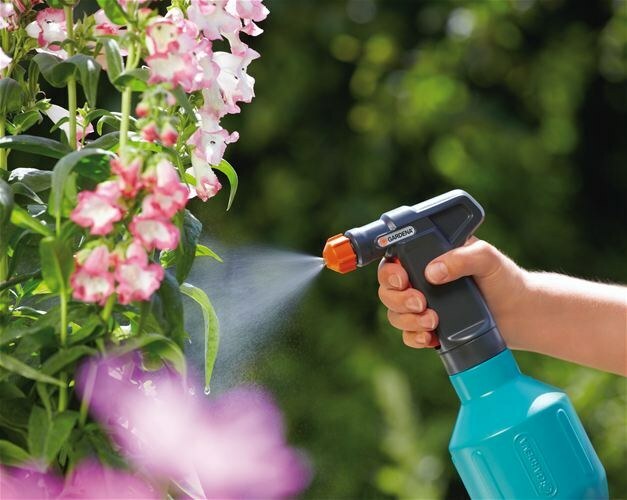 Prevent harmful insects. For this plant on your plot of chrysanthemums. Mole cricket does not tolerate the smell of this flower. In addition, planting vegetables, planting in well 1-2 cloves of garlic, the smell of which will scare away the insect. Working with chemicals, always use gloves. If the area is a compost pit, overlaid it with a remedy of mole crickets. It with manure often deliver this pest to the area. Once settled the mole crickets are hard to break, especially if the cottage is located in the wet lowland along the water, and the land on the fertile land. 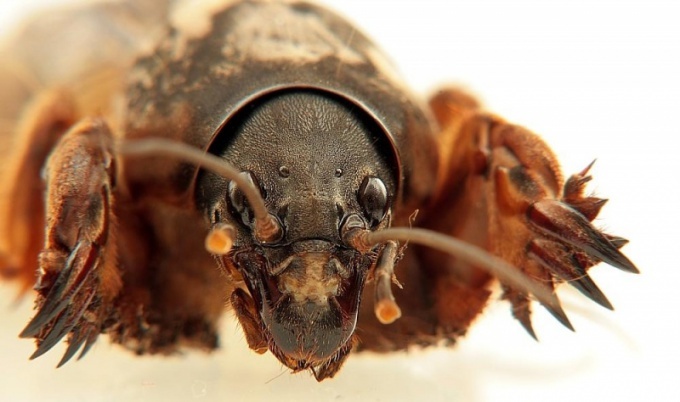 Mole cricket — underground resident and making burrows near the surface of the soil. From Malatia comes out at night and attracted by a bright light, often migrate to other areas. To defeat the mole cricket, to add to the hole when planting vegetables chicken manure in the summer to water the plants with diluted chicken manure. Apparently, the crickets do not like its pungent smell. But you need to be careful: excessive doses of nitrogen can cause burns and even plant death. Discovered the burrows of pest, you need to pour vinegar (2 cups for mink). To catch the crickets in the jar. Brushing narrow necks honey, banks dropped into the ground. When the cricket crawl in there and get it destroyed. The mole cricket doesn't love the smell of calendula, so this herb can be used in the control of this pest. Often used against mole cricket chemicals. Consideration should be given to their toxicity to beneficial inhabitants garden. For example, permitted for use in personal farms "Bankol" slightly toxic to mammals and is not toxic to birds, bees, and earthworms and other beneficial inhabitants of the soil. Cook a kilogram of grain or pasta, studet, add 50 g of sunflower oil, mix, add 10g "Bankole" and again thoroughly mixed. Planting seedlings across the rows, make furrows with a depth of 5-10 cm and at intervals of 10-15 cm laid out the bait, sprinkle the ground. Spent a hundred kilograms of bait. Use against mole crickets and granulated drugs "Thunder", "Medvedok", "Fenxin plus", etc. Every gardener sooner or later confronted with the appearance of mole crickets on the site, which is associated with the risk of losing crops. The desire as soon as possible to get rid of this problem leads to the purchase of special drugs, which are not always affordable and very often ineffective. With time comes the idea of seeking people's recipes to combat the mole cricket. The mole cricket is a large insect, with body length up to 10 cm, powerful digging paws and dense the elytra. This insect has other names, such as cabbage, ground cancer or a top. In the diet of an insect consists of roots tuberous and vegetable plants. In one season the female mole crickets can lay up to several hundred eggs, which further complicates the process of destruction of a population. This recipe is used with the aim of removing the mole crickets to the outside for further trapping and destruction. You will need to identify in advance the hole of an insect, then prepare the solution in one bucket of water to dissolve 10 grams of grated soap and 50 grams of washing powder. After the soap and powder is completely dissolved, the solution is considered ready. The liquid filled hole, in consequence of which the insect comes to the surface, where it should catch have to destroy. To destroy the mole cricket on the site is possible via the eggshell. For this you will need to grind the shells and mix it with vegetable oil. After cooking the pasta evenly buried in the plot holes with a depth of 3 cm. From eating this mixture, the insect will die. It is known that mole cricket does not like pine scents, so before planting the seedlings, you should dig a few holes and pour them in the needles of pine, spruce or fir. If the insect is revealed after planting will be enough to cover the bed of pine needles. Also, the mole cricket can not tolerate the smell of rotten fish. Before planting plants will not be amiss to stock up on inexpensive sprat-witted. In each hole is enough to throw a few pieces of fish, and the harvest will be saved from the pest. This recipe is probably the most popular and quite effective. To expel the mole cricket from the garden, you should plant flowers of marigolds near vegetable patches. Using this simple method will not only secure a crop, but also embellished the plot. In search of moisture mole cricket is becoming more active, so you can take advantage of this weakness of the insect. You will need a few medium sized tins that you can fill about 100 grams of water. In the garden you should dig a few holes and remains in them, banks just below ground level. The neck should be covered with straw, and on top lay a small piece of plywood and covered with earth. Mole cricket moves in the upper layer of the soil, therefore, following the water, it will inevitably fall into the jar and will not be able to get out.